It’s been a year since Guided By Voices broke up, again, and Bob Pollard has been taking a break, which in Bob Pollard terms means forming a new group that’s released three albums in the past year alone. (Not to mention Pollard’s newest solo album, Faulty Superheroes, which came out in May.) That group is Ricked Wicky, described as a “Dayton, Ohio-based supergroup” led by Pollard with past collaborators Nick Mitchell and Todd Tobias providing multi-instrumental backup and Kevin March on the ever-workmanlike drummer’s stool. 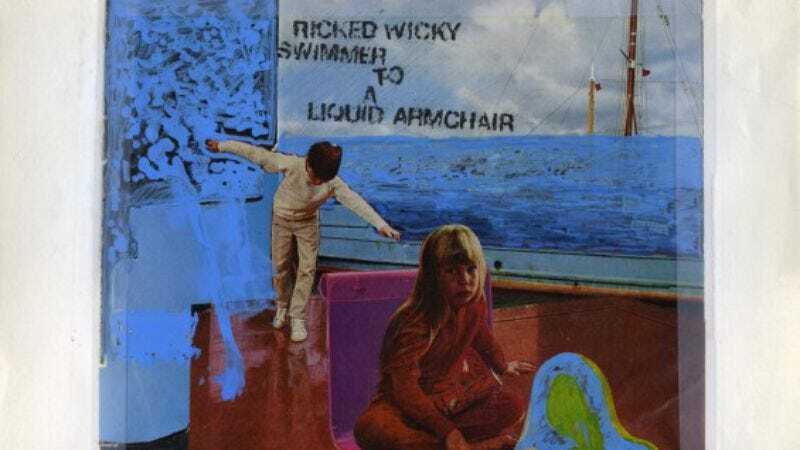 Ricked Wicky’s third album, Swimmer To A Liquid Armchair, drops this Friday, and The A.V. Club has an exclusive stream of the entire album (composed, in also-typical fashion, of 12 songs coming in at less than three minutes each). Pollard has described Ricked Wicky as a “sophisticated arena rock band,” and while fans already know to expect sarcasm from the former GBV frontman, there is a polish to the songwriting—particularly when Mitchell takes the microphone on the fourth track, “Blind Side”—that brings a new, prog-rock influence to the table. But GBV fans needn’t worry. Polish is a matter of degree when it comes to Pollard’s lo-fi sensibilities, and lead single “Poor Substitute” includes the straightforward power chords without sacrificing the raw, ramshackle emotion. Swimmer To A Liquid Armchair comes out via Pollard’s GBV, Inc. imprint this Friday, September 25.